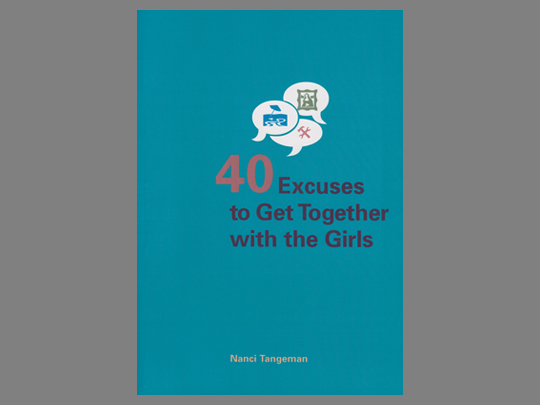 I proofread and copyedited 40 Excuses to Get Together with the Girls, a non-fiction book by Nanci Tangeman, in July 2005. 40 Excuses offers a selection of reasons and activities to motivate readers to get together with their friends more often. There are all types of excuses—some practical (like #33: Because I need to protect my identity), some educational (like #38: Because I need to exercise my brain), some adventurous (like #6: Because I’m a wanderer), and some are just fun (like #16: Because I feel the need to create). Each excuse includes a selection of activities for you to do on your own or with friends. I used Associated Press and Chicago style guidelines to edit the text, and I also fact-checked the content. In addition, I had the fun opportunity to test out a few of the excuses, as I participated in the author’s first workshop. 40 Excuses to Get Together with the Girls was published by BookSurge Publishing in May 2006 (ISBN-10: 1419628798). To learn more about the book, or to buy a copy, please visit the book listing on Amazon.